This week, Facebook faced the Belgian Court once more to fight the tracking ban that the court ordered in 2018. The Belgian Court declared that Facebook was breaking the Belgian privacy laws. They threatened a daily fine of €250.000 (over $280.000), should they not stop tracking people’s online behavior. In 2018, Facebook had to face the Belgian Court, because they were illegally tracking people’s surfing behavior. This included both people with and without a Facebook account. Facebook collects this data in order to sell it to third parties. These third parties can, in turn, use it to create targeted advertisements. Tracking people’s surfing behavior without informing them and asking for permission violates the Belgian privacy laws, which is why the court ordered Facebook to stop tracking the surfing behavior of Belgian citizens. If they should fail to comply, Facebook would face a fine of €250.000 every single day until they succeed. The Belgian National Data Protection Authority explained the reasoning behind the tracking ban they imposed on Facebook in an email. “Seeing as Facebook’s social plugins and pixels are present on millions of websites, Facebook can map a big part of any person’s surfing behavior. This includes surfing behavior on websites of a delicate nature, such as websites about health problems, sexuality, and political preferences. Facebook then uses that information to profile your surfing behavior. Then they use that profile to target advertisements at you, such as advertisements about products and services of commercial enterprises, messages from political parties, etc.” According to the Belgian Supervisory Authority of Privacy, Facebook still violates the law, especially now that Belgian privacy laws have gotten stricter. To properly protect your data, it’s best to take matters into your own hands. Using a VPN is an easy way to stay anonymous and secure online. This will prevent websites from collecting data about you or tracking your surfing behavior. 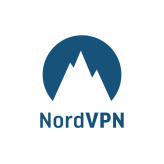 If you want to know more about VPNs and how they work, you can take a look at our What is VPN? article. If you would like to compare different VPN providers, take a look at our Top 10 VPN providers.